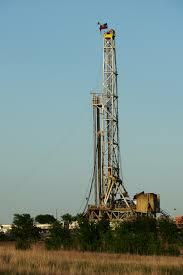 Fracking is a method of extracting fossil fuels from shale formations that hold tight oil and natural gas. With the innovations of horizontal drilling and hydraulic fracturing reaching shale reserves has become economically viable. There are over 1.1 million active oil and gas wells in the US. In 2006, 33% of US petroleum consumption was domestically sourced. By 2014, in the midst of the much-publicized fracking ‘boom’, the share increased to 61%, far below the record 96% set in 1951. More information can be found on dynamic maps by FracTracker. Research continues to show that the near-term benefit of domestic energy production comes at the cost of potentially irreversible long-term costs to communities and the environment. Air pollution: Drilling and associated facilities may release or produce various air contaminants such as particulate matter, benzene, sulfur dioxide, hydrogen sulfide, carbon monoxide, and ozone.